Our Opening Reception on Monday will feature our guest speaker and honourary chair, Alex Mustakas. 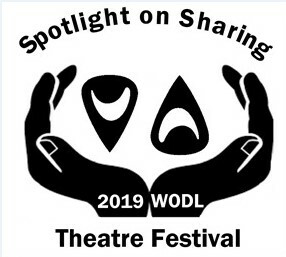 Alex is very honoured to have been asked to participate in our festival and you will have a chance to hear from him again on Friday afternoon afternoon on the subject of “The Drayton Entertainment Story and the Business of Theatre”. On Tuesday we have two workshops, one for voice with Amanda Brunk and another for body with Lisa MacNeil. Amanda will be sharing how to ensure your voice is used to its full potential and Lisa will be getting us moving ... no dancing talent or experience necessary. Wednesday is a script reading workshop by the ever popular Michael Grant and Liz Best; sure to be entertaining and interactive. Thursday you’ll have a chance to “Bring Your Character to Life” with Alexandra Lent. Alex is a joy to work with and you’ll find lots of great tips to take with you from this workshop. And of course there will be our morning adjudications with Maja Ardal from Tuesday morning to Saturday morning, always a great learning experience. We have lots of opportunities to get involved with some of the tasks throughout the festival week. If you would like to share your time and skills during the week of March 11 – 16, please contact Volunteer Co-ordinator and Co-chair, Chris Grose. chris@wodl.on.ca or call 519-575-1071. Click here to see the latest developments for Festival 2019 and follow us on Facebook, Twitter and Instagram. Remember that while the adjudicator is theatrically sophisticated, his or her opinion is one person’s opinion. While it is an informed opinion and worth considering, you may conclude that it is wrong. Ask questions. If you disagree with what an adjudicator says, then ask the adjudicator to explain his or her position further. An answer will be forthcoming. Think about what you have been doing before the adjudication. Bring your questions. Listen to the adjudicator’s public adjudication from back stage. If the adjudicator has to repeat his or her public comments during the detailed adjudication, then you get less feedback than if this has been heard already. When your group learns the date of your adjudication, a copy of the adjudication guidelines is attached to the email. These guidelines should be shared with everybody. Do not change your play based on what the adjudicator has said. If you think that what has been said should be implemented, then ask your stage manager or director before making any changes. They are in charge of the show, not the adjudicator. November always means lots of theatre to choose from, across the entire region! If your theatre group has a special event coming up, please let me k now so that I can include it here! Whether you're a director or stage manager, you've probably been confronted with an intimate scene and you know how difficult they can be to stage comfortably. This 4 hour workshop is designed to give you the tools you need to handle these moments respectfully, safely, and with confidence. Learn the language and standards for staging intimacy that should be followed from rehearsal into performances, just like fight choreography. The focus is on subtle and specific details in choreography for the purpose of telling the story of the scene. Contact improvisation is used as well as breath and eye contact to keep partners connected physically and emotionally. Siobhan Richardson's Workshops on Intimacy for the Stage have been enthusiastically received as a practice which empowers actors to respect their own boundaries, while improving the quality and clarity of scenes of intimacy. Intimacy For The Stage workshops and the assistance of an Intimacy Director/Choreographer creates better storytelling, and is an important step forwards in supporting actors’ safety and rights. For information, on the instructor, how to register, and fees click here . The Canadian Play Outlet has launched its new site with over 2000 Canadian Plays right at your fingertips. Looking for something specific? Check out the curated Collections . Every month you can take a look at the newest unpublished and published plays available! The Playwrights Guild of Canada publicises productions of Canadian-written plays through its website, www.playwrightsguild.ca . If you want to perform a Canadian play but cannot figure out where to obtain the amateur performance rights, view this presentation from PGC . Theatre Ontario publishes an online list of current and upcoming productions by its member groups. To see what is on click here . Is your WODL Menbership Information Up-to-date?